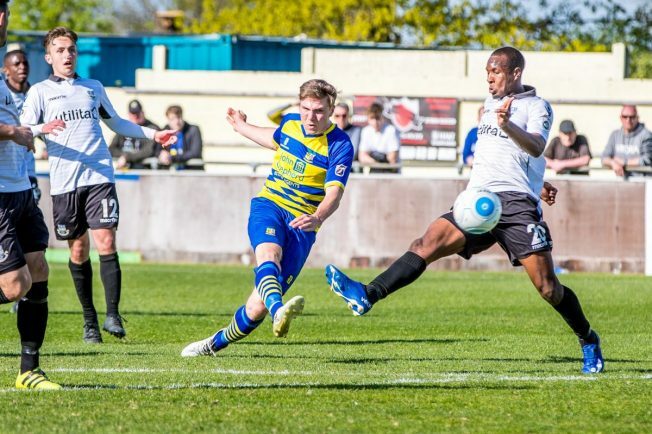 FOOTBALL: SOLIHULL Moors have announced the departure of striker Harry White to National League rivals Chester. Birmingham-born, White featured in 24 games during the 2016/17 season having signed from Barnsley during the summer recess. He started his career in the Coventry City Academy and played for local teams Earlswood Town and Coventry Sphinx before making a move to Banbury United following a successful scoring spell with Barnsley U21s. The 22-year-old made his first full start for Moors in an away defeat to Wrexham – and his debut goal came during a 2-2 draw against Woking. White also bagged a memorable hat-trick for Moors against Boldmere in the Birmingham Senior Cup. Often required to play the last man up front, White worked tirelessly for his team mates and hit 12 goals for the Moors including a memorable low drive from 20 yards to put his team on their way to a 4-4 draw at Dagenham. The club has placed on record its appreciation for the season White spent with them and have wished him the best at his new club.